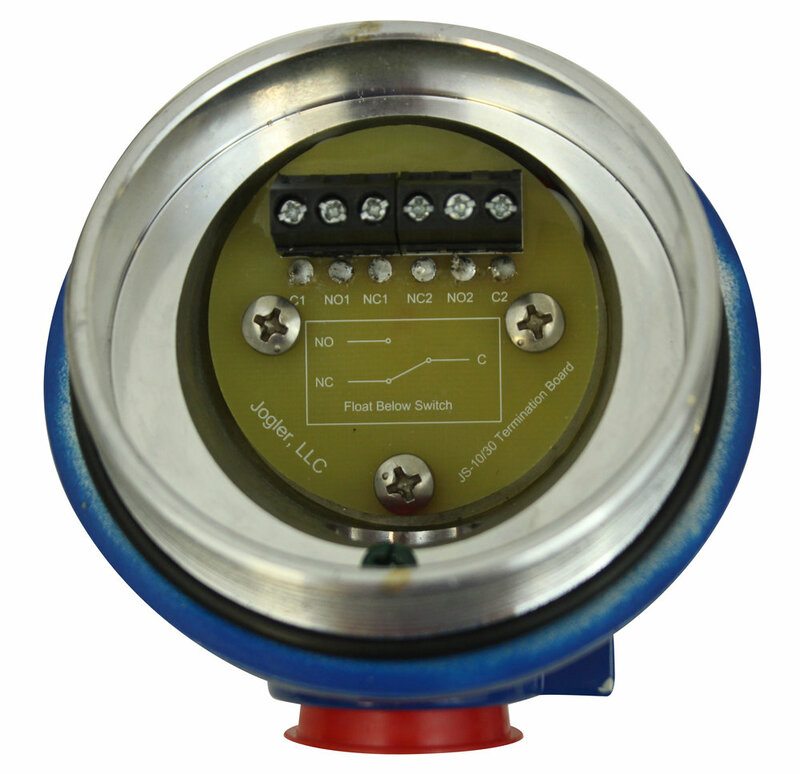 The JS-10 (1 amp) and JS-30 (3 amp) switches are magnetically actuated point level switches for use with magnetic liquid level indicators. Magnetic coupling through the chamber wall keeps these switches isolated from process fluid and pressure, allowing setpoints to be adjusted on the fly. 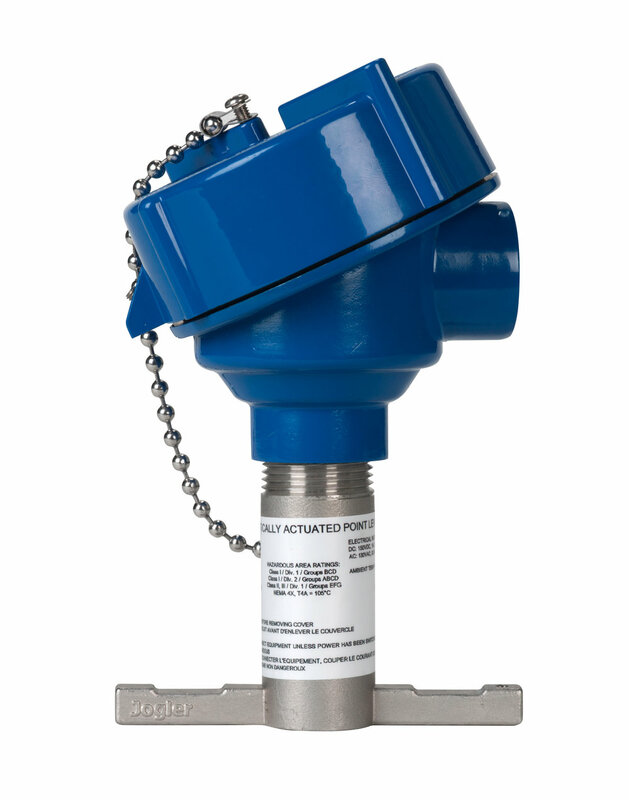 The JP-450 is a magnetically actuated “no bleed” pneumatic point level switch for use with magnetic liquid level indicators. 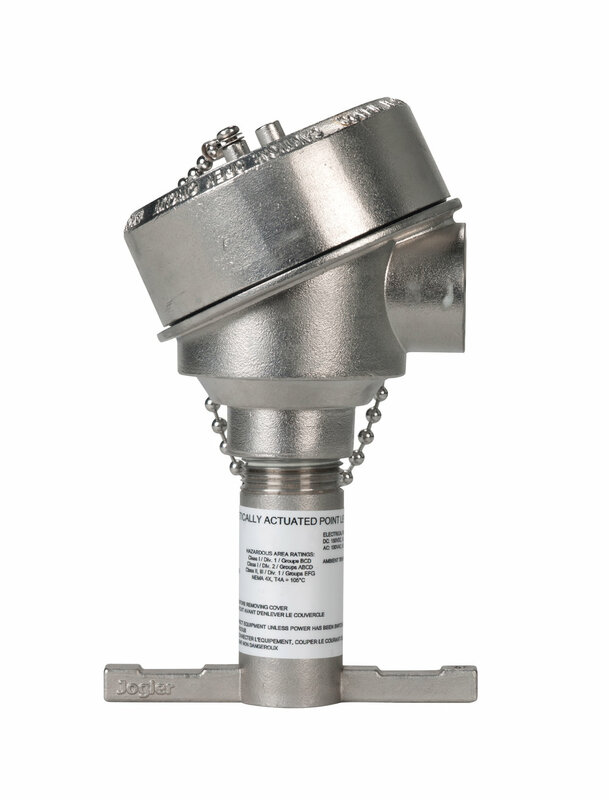 Magnetic coupling through the chamber wall keeps the switch isolated from process fluid and pressure, allowing setpoints to be adjusted on the fly. Two JP-450’s can be coupled with a JPLR latching relay to give plug-and-play dump/fill valve control (see JP-450 data sheet).